Christy Boyer – Christy has been a Probation Officer for the Center for Creative Justice since January of 2007. She started her career as a Criminal Justice Advocate for a domestic violence shelter in Kansas, working with victims and offenders in the criminal justice system for a period of seven years. Christy was a part of the Lyon County Domestic Violence Task Force and member of the Kansas Coalition of Domestic Violence and Sexual Assault Task Force. She developed the Coordinated Community Response Team in conjunction with Battered Women’s Task Force in Osage County, as well as co-facilitated that group. Christy developed and coordinated a regional training with speakers from the National Crime Victims Center in Washington DC for law enforcement, legal, and social rehabilitation agencies in Kansas on Stalking. She has implemented trainings for law enforcement, SRS, and other agencies on domestic violence and stalking. Christy has attended national conferences in Washington DC, California, New Mexico, and Minnesota on domestic violence, stalking, and immigration. In 2008, she became certified as a facilitator for the Batterer’s Education Program. 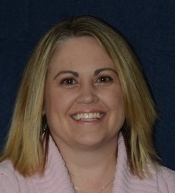 Christy has a BS Degree in Rehabilitation Counseling from Emporia State University.